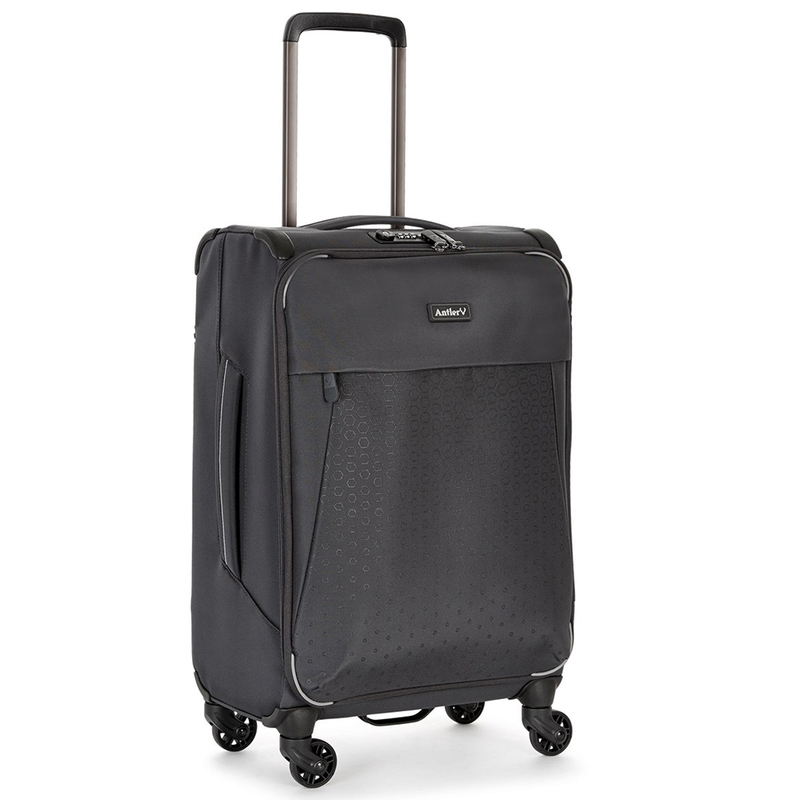 With Antler’s impressive Oxygen luggage, you can travel on air. The lightest in its class, Oxygen provides you with all of your travel needs without compromising your baggage allowance. Each ultra-lightweight case combines rip-resistant fabric with a super tough flexi-frame structure for peace of mind, while the four spinner wheels and telescoping trolley handle let you whisk around airports in style. Four smooth rolling spinner wheels. Spacious main compartment features a large zippered mesh pocket and a set of packing straps for organisation. ID tag located inside the main compartment. Comes with a clear toiletries bag. Front panel zippered pocket provides you with easy access to your belongings. External Dimensions: 35cm (l) x 56cm (h) x 23cm (w).